At Fakuma 2018, Stand 1105, Hall B1, Sumitomo (SHI) Demag Plastics Machinery GmbH has chosen the motto of “Precision. Power. Productivity.” to showcase the company’s expertise in three core target markets. This year, the IntElect S will run a medical engineering application to demonstrate the new all-electric machine series for high-speed parts. An El-Exis SP 200 will run a high-speed IML application from the packaging segment and a versatile Systec Servo with advanced IMD technology, a new design and functional integration for the core segment of automotive applications. 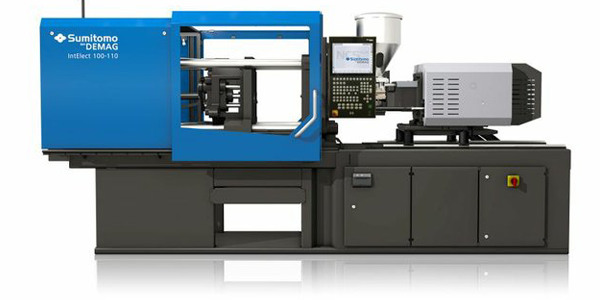 The high-speed, all-electric IntElect S injection moulding machines are available with clamping forces between 500 kN and 1,800 kN and with injection speeds between 350 and 500 mm/s. They are specially built for high-speed applications with cycle times between 3 and 10 seconds. Thanks to its optimised configuration of motors and drives, this model outperforms standard IntElect machines in terms of mould movements, injection and metering speeds and ejector movements, which translates into significantly reduced cycle times. At its Fakuma stand in Hall B1, Sumitomo (SHI) Demag will premiere an IntElect S 130/520-450 with a package of options specially developed for medical engineering requirements, ensuring a clean production environment (Good Manufacturing Practice). The 32-cavity pipette application focuses on quality assurance, traceability and supports customers with their product validation. For this system, manufacturer Waldorf Technik of Engen/Germany has supplied its VarioTip solution, one of the most compact automation systems with 100% camera inspection for sorting pipettes according to cavities into the corresponding racks. The system is equipped with a Max Petek laminar flow hood and connected to a master computer from bfa solutions, which ensures the perfect traceability of process data as well as monitoring changes to the set machine data. “The machine design with minimal surface areas and encapsulated mould space and our expertise in the all-electric segment are the recipe for our success as an innovative system supplier for medical engineering applications,“ says Pietro Scattarreggia, Director Business Development Electronics & Medical at Sumitomo (SHI) Demag. “The special solution that was tailored to our NC5 control and delivers real-time visualisation, and traceability guarantees maximum product safety for our system,” Anatol Sattel, Key Account Manager Medical Applications at Sumitomo (SHI) Demag explains. “Not only does this solution provide a better overview of the process, it also facilitates the normally very complex documentation tasks for quality management and assurance.“ The customer benefits from a significantly more convenient validation process that prevents uncontrolled external process interferences. Other IntElect exhibits shown at partnering stands focus on standardised automation solutions as well dynamics and performance. Parallel to the launch of the IntElect S, Sumitomo (SHI) Demag will also introduce the “SDR Speed” robot series. These two components are at the heart of the new performance package for applications with cycle times of between 3 and 10 seconds. Thanks to the substantially increased dynamics of the SDR Speed series the shorter removal and mould opening times of the IntElect S series will be used to the best advantage. At Stand A1-1203, run by Sepro Robotique GmbH, an IntElect S 180/ 560-700 running with a SDR Speed 7 robot will demonstrate this impressive performance capacity. The sample thin-wall application runs with a cycle time of less than 4.8 seconds. In addition to this, our partner will show an integrated automation solution for the production of a technical POM (Duracon/ Polyplastics) component on an IntElect 50 with a SDR 5S. Customers benefit from the small footprint of this all-in-one solution: injection moulding machine, robot and conveyor belt . The live demonstration at the Fakuma stand is a perfect example for complex packaging processes: a production unit with a high-volume output, low part weight, in-mould labelling and cycle times below 3 seconds. In a four-cavity mould (Simon), this system produces decorated food cups from polypropylen (Borealis). It is equipped with an automation solution (Beck Automation). A high-speed side-entry robot places the labels (Verstraete) into the fixed mould half, while removing the finished cups from the moving mould half and stacking them. With a versatile, energy-efficient Systec Servo 280/630-1450 with integrated functional unit for decoration, curing, purging and quality control, Sumitomo (SHI) Demag presents its contribution to the IMD surface decoration segment. “We came up with interesting technical advancements for Fakuma 2018,“ promises Henrik Langwald, Director Automotive Business Development. “Together with our partner Leonhard Kurz, we will present an automotive application: a door sill with a new day/night design is initially decorated by IMD and then covered with functional foil for touch functionality.“ All IMD process steps are integrated in a production unit with automation that was specially standardised for IMD applications. Throughout their long-standing successful partnership, Leonhard Kurz, HBW Gubesch, Kist and SAR have continuously advanced their application process as well as their machine and automation technology. The integration of production and process data into a higher-level MES has made both the quality and the production performance more transparent and controllable. A unique data matrix code identified each individual part and ensures its traceability even at the next production stage. At the Kurz partner stand, the second production stage will use FFB (Functional Foil Bonding) to provide the IMD part with a touch sensor. This stage of the process is also monitored by a higher-level MES supplied by bfa Solutions. “In addition to the application and its automation, visualisation requirements and the need to analyse process data are becoming increasingly important. This is why process integration into higher-level MES systems plays a crucial role. Our process integration into an MES system supplied by bfa Solutions proves our system expertise and extensive experience in the industry,“ says Langwald. Analogue to the other two live exhibits at the stand, the Systec Servo is also equipped with downstream systems supplied by Piovan. At the Fakuma stand, Sumitomo (SHI) Demag has designated a self-contained section for all issues of network integration and digital services. There, customer can access an internet platform for on-line support and diagnostics and documentation, select remote monitoring of their production and order spare parts. Visitors can use the terminals to find out more about the myConnect services.